One of the main draws of the Expand counter is that it also doubles as a hard wheeled transit case that is hinged on one side. 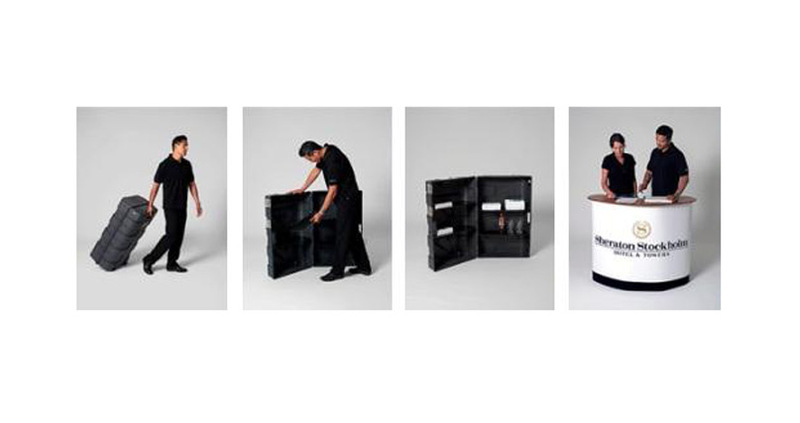 It enables you to transport an entire pop up display or five pull up banners, minimising the amount of components you need to carry. 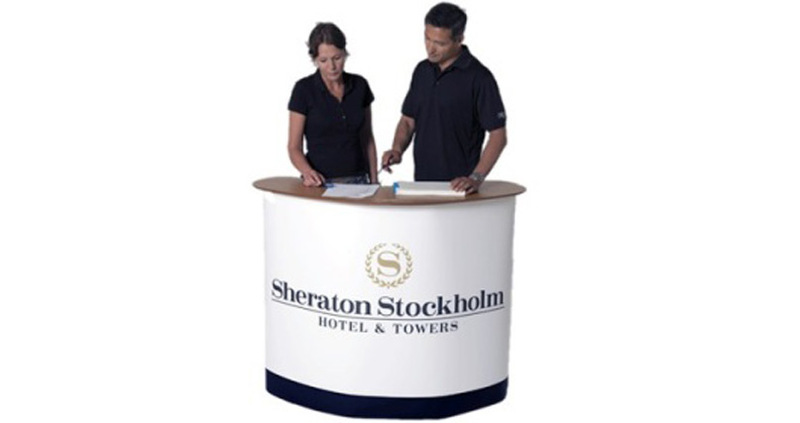 The case opens up like a suitcase, allowing you to easily convert it into a generously sized podium or sturdy display counter. It comes with an attractive brushed aluminium counter top and has internal shelving that can be used to store promotional material or even samples. The counter also comes complete with a high quality laminated graphic wrap. It has a front visual area that is around 1150mm wide. It also comes with a handy skirt that hides the wheels from view. The Expand counter is able to comfortably support up to 15kg of evenly distributed weight. When open, the counter is 1230mm wide x 980mm high x 600mm deep. When closed, it is 730mm wide x 980mm high x 450mm deep.